Such a radical idea, with such a far reaching scope of business items and people potentially effected can not be completely understood or digested in my original article. The original story took close to three weeks to compile information, and then write. Thanks to one of my close friends and his legal knowledge base we will examine some potential issues. Is the formation of an all encompassing union even possible? The simple answer is yes. Under Canadian Law, based upon a limited understanding and research, it would appear that the CHLPA is completely possible. The legal formation of such a union will not happen over night. Potential serious problems exist for the movement. If the Ontario Hockey League, Quebec Major Junior League and Western Hockey League choose to not recognize the CHLPA, the fight to unionize becomes more complicated. If the big three of the Canadian Hockey League recognize the union then they can simply begin bargaining. That recognition is not likely though. The CHLPA is most likely going to be forced into seeking recognition from each Canadian Province in which teams and leagues do business. They will also most likely be required to seek recognition from the Federal Government of Canada. This process will not take place over night. TJHN has learned that Attorneys in every province have already been contacted by the CHLPA in preparation for these items. TJHN has also learned that it is most likely that a Labor Law Specialist Attorney will be accepting the leadership position of the CHLPA in coming days. Although TJHN has the name of the Attorney we have agreed to not release that information today. Rest assured though, this person has the qualifications to lead the effort. Assuming the legal hurdles are over come and the CHLPA is officially recognized by the government, the Major Junior Leagues will have no other option but to bargain with its workforce. Yes, that is the most simple answer. No choice. This means that everything would be on the table. All forms of revenue to the teams and leagues would be open to negotiate percentages of compensation to the workforce generating those revenues. In the original story I questioned the ability of the CHLPA to bring under age, under 18, players into the union. Although the issue is a little cloudy, it would appear that they would be able to do so. In other unions, those workers under 18 are allowed to join when in trade schools, and working as apprentice trademen and tradeswomen. Those apprentices are paid according to union scales and typically continue on in their chosen profession. Would hockey players be considered skilled workers, or skilled tradesmen? The simple answer according to sources is, yes. The tryout process is much like the application process. The draft is not much different than the corporate head hunting or recruiting process that many companys employ when selecting its workforce. Without this skilled workforce the products value could be considered much lower by the consumer. The effect the formation of the CHLPA on teams and leagues could be one that with forced revenue sharing, has some teams nervous on more than just simple pay hikes to its workers. One would assume that in the negotiation process that team financial records would then become open to investigation much like the NHLPA has forced the NHL to do. Knowing that nothing in hockey can stay secret for long, those financial would eventually get into the hands of people who want to know certain things. Was David Branch’s recent $400,000.00 fine founded in fact? If so, would other teams have reason to be nervous of this opening of financial records? Certainly rumors have abounded for decades of certain high end players in many leagues being paid outside of established guidelines, and could this lead to more discoveries? If so, some teams may reconsider their positions within those leagues. With a union, financial and educational packages would be funded and that funding would probably be overseen by union officers. Those officers will have to have the skill set to manage millions of dollars in a very complicated business matrix. It would appear that the CHLPA has done a good job in assembling financial managers, attorneys and other support staff to carry out these duties. The question then remains; Whats in it for them? The road to ruin is often paved with the best of intentions. Clearly the fundamental idea of the union is to protect the workforce. That protection requires that those people working for the union also be compensated at what most would call "fair market value". Many times in the United States though, union officers have been accused of mismanagement and financial misappropriation. Not that unions are inherently corrupt, and not that they do not do a good job for most of its members, but it is important to note that when you talk about millions of dollars the temptation for some people may be too much to overcome. Players I have spoken to have been in support of this idea. Those same players though have voiced some concern that potential union leaders may end up being just another group earning a living off of their efforts. Oversight will be critical to gaining full support of the players. The formation of, and membership in the union will make one thing perfectly clear; all of Canadian Major Junior Hockey will then legally be considered professional hockey. The NCAA has taken this view, and if completed, the Canadian Government will be certifying the same. This would forever shut the door for any NCAA compromise with Major Junior Hockey in the future. 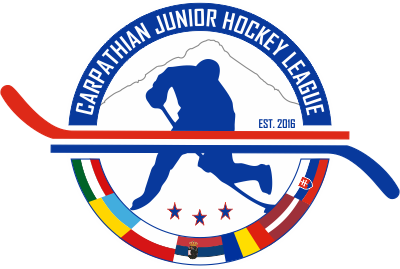 This would make Major Junior Hockey no different than the American Hockey League, East Coast Hockey League or the Central Hockey League. This would also make the teams no different from the NHL from a legal point of view. A unionized workforce in Major Junior Hockey could then probably assert itself in any negotiations taking place between the NHL and the Canadian Hockey League concerning any development or transfer agreements. Understanding the NHL is already negotiating with the NHLPA and how those negotiations are proceeding and the history thereof, could mean the death of any NHL/CHL agreement. Why would the NHL want to negotiate with another players association? Its unlikely they would choose to do so. Speculating that the NHL would choose not to negotiate, would CHLPA represented players, or potential CHLPA players then choose different development routes? Would teams examine a different business model? If CHL players aren’t paid, there would be no need for unionization. If the CHL took the approach of eliminating all pay, those players entering the leagues after that pay elimination would maintain full amateur status and would thus be able to play NCAA hockey. 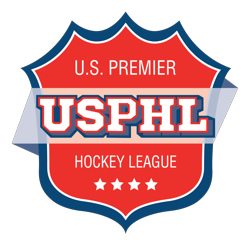 Leaving the option open for those players would also open doors for cooperation with the United States Hockey League for player development and potential cross league play. Such a transition would be revolutionary for hockey in Canada. Team owners could then save thousands of dollars, while potentially opening more doors for their players through NCAA eligibility. Would teams still be able to offer education subsidy? That would be a debate for teams and the NCAA. If so, NCAA programs could potentially save millions of dollars in scholarship money. Sources within CHL teams have informed TJHN that they will examine all avenues, but will most likely not support any form of union and will look for avenues to avoid this taking place. How that happens may be determined over the course of a year or more. Much speculation has been made regarding the CHLPA and if TJHN supports its formation. TJHN has no opinion either for or against the formation of the union or its potential to become or not become an official body. TJHN presents many sides of the argument in order to provoke a conversation that we would like to think will help find a resolution to all issues in junior hockey that may have an effect on the players. I would like to thank the good people at TSN for interviewing me yesterday on this story, especially host Mike Hogan. TJHN would also like to thank sportsnet.ca for picking up the story and mentioning us, as well as various other news outlets throughout the US and Canada. In my next article I will be reporting on the people behind the scenes organizing the CHLPA.